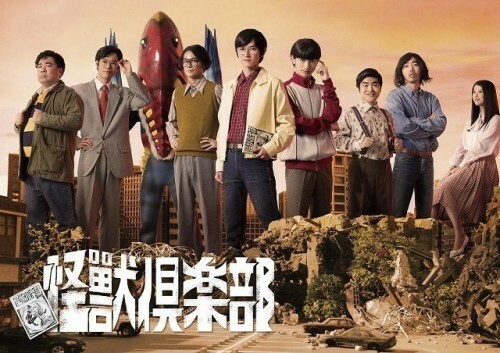 MBS and TBS announced last Friday that it has greenlit a new live-action series titled "Kaijū Club Kūsō Tokusatsu Seishunki (Kaijū Club Fictional Special Effects Youth Chronicle) starring Kanata Hongou (live-action Gantz' Jōichirō Nishi, Attack on Titan's Armin Arlert). The four-episode series is set in the mid-1970s, and focuses on a club with otaku members who have devoted their youths to the kaijū (giant monsters) that appear as antagonists in tokusatsu (special effects) shows. The club is trying to self-publish a magazine that deals with the topic. Takashi Sumida (SENGOKUCHOJYUGIGA) is directing the series, and Kensaku Sakai (SENGOKUCHOJYUGIGA, Game Center CX) is in charge of planning and is co-writing the script. Kōta Fukihara (live-action Yowamushi Pedal, Final Fantasy XIV: Dad of Light) is writing the script. The show premieres on MBS on June 4 at 12:50 a.m. (effectively June 5 morning), and will similarly premiere on TBS in June. Ultraman production company Tsuburaya Productions is collaborating with the series production. Hongou said that while the series will appeal to everyone, it will be especially nostalgic to the generation who went crazy over tokusatsu shows. Sakai noted that the series is set "in the time with no DVDs, and Ultraman and kaijū were aimed toward kids. Even if everyone looked at them funny, there were still people who loved kaijū." I hope Crunchyroll picks this up. Ooooh, this could be really cool, especially with Tsuburaya's involvement.